When considering a student car loan, you should first assess your situation. Make a list of some of your current expenses, especially monthly bills that you may have to pay off. If you are already on a student loan, it’s important to be careful about your decision and to plan your auto loan with your student loan expenses in mind. Also, remember to take note of your income level so you can set aside part of your income for paying off your auto loan and other bills. Step 2: Think far ahead. A common mistake that people make when taking out loans is that they only consider their current needs, without planning out the future. Make sure to take into consideration any big expenses that you might have in the future. Try to have a good idea of how much you can start earning if and when you start working. Plan your auto loan terms according to your present situation and your future capacity to pay off the loan. Step 3: Compare, compare, and compare. Finally, when you are trying to make a decision on which auto loan to get, you should always have several options that you can compare to ensure that you will get the best deal out there. Some of the factors that you need to be aware of include the loan amount, interest rates, loan term, and extra fees. Make sure that you only deal with companies that are reliable and trustworthy to ensure that you get good service. Remember that once you get stuck with a bad auto loan, it can eat your budget for school fees and other expenses. Be sure to get a loan that you can afford. You should be able to manage your finances even when still in college so you won’t be trapped into debt before you can even graduate. It would be best to start with a clean slate after college life. 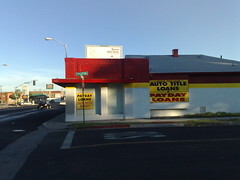 Choosing Payday Loan Company – On choosing a lending company.